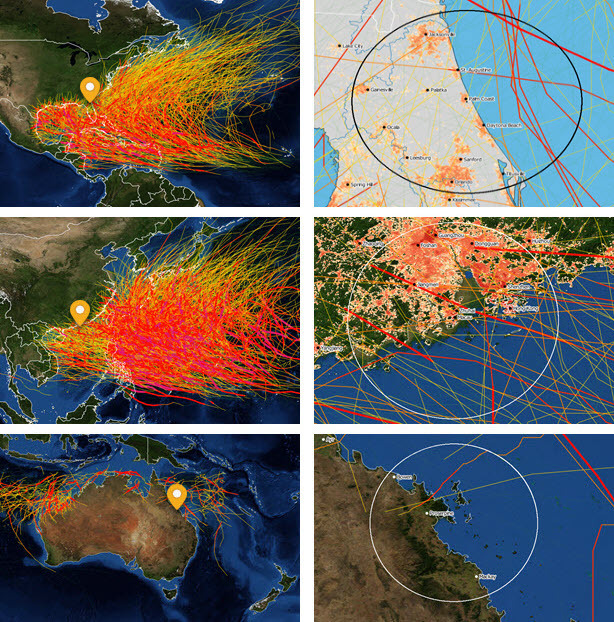 Figure 2: Three coverage regions and historical tropical cyclone track basemaps (large versions: North Atlantic, Western North Pacific and Australia). Three styles of track basemaps have been prepared and are available. Historical track maps provide a good overview and sufficient context showing all track segments being selected under various thresholds. 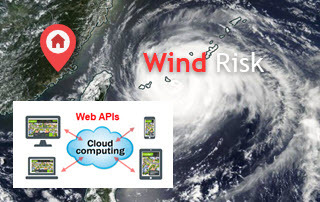 At the moment, our APIs allow users to enter thresholds on historical years, wind speed and a search radius that might be suggested by the known radius of maximum wind (RMW). 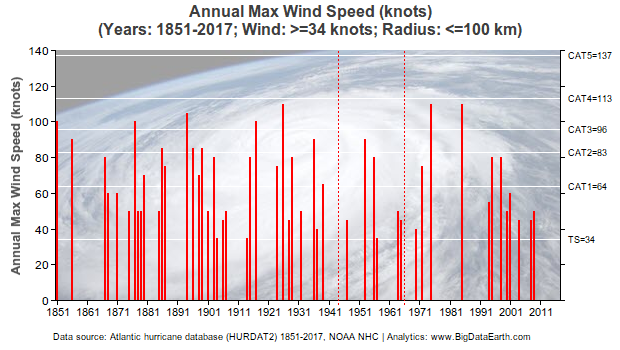 In mapping the maximum sustained wind (MSW), we follow the commonly-used Saffir-Simpson Hurricane Wind Scale (Figure 3). 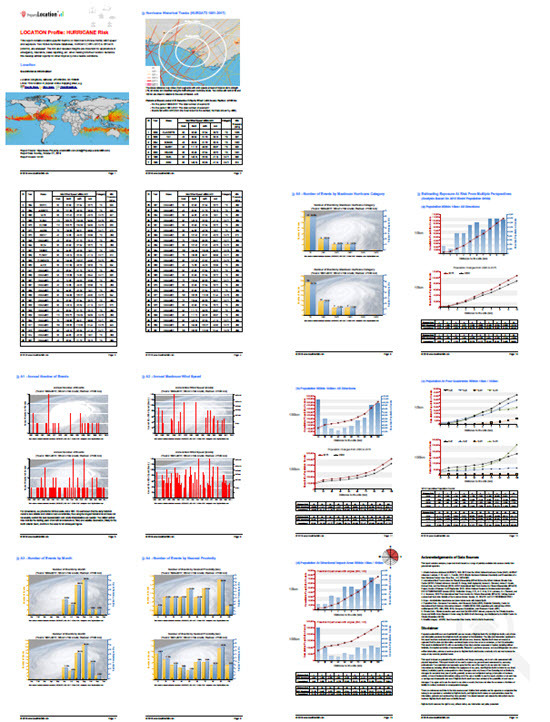 A standard report includes a list of selected historical events and a dozen charts revealing various perspectives on track positions, wind speed and central pressure (e.g. Figure 4). For attributes such as wind speeds and temporal occurrences, it is insightful if they are superimposed with some distribution fitting curves (e.g. Figure 5). It is exploratory in nature but does provide a convenient summary about the underlying data sampled. 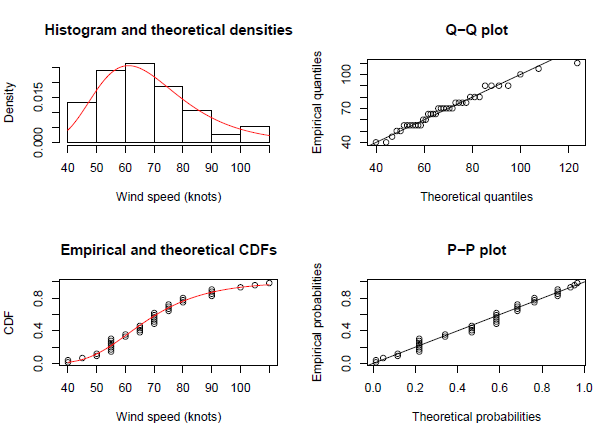 In addition, we offer separate consulting services for users who are interested in an ad-hoc analysis of the full time series of historical wind records, using the generalised Pareto distribution (GPD) and the generalised extreme value (GEV) distribution. Modelled results are subject to changing sample sizes and, by so doing, the uncertainty associated with the modelling of wind extremes can be fully examined. 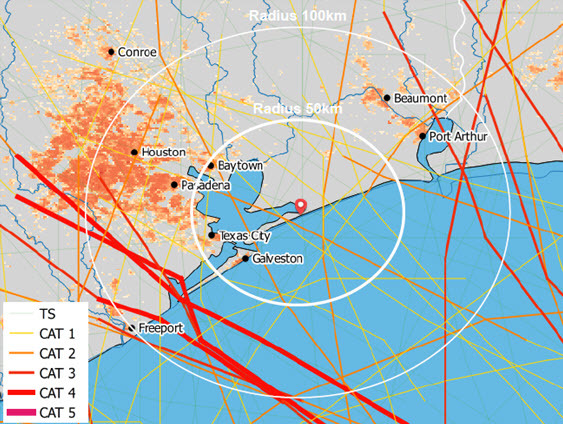 Rapid estimation of at-risk exposure (say within the radius of maximum wind) is always needed in risk analytics. We once released dedicated APIs on this and more info can be found in this blog “New Methods and Tools (Web APIs) for Innovative Exposure Analytics“. Results on exposure estimation can be reported as a standalone PDF report, or integrated into the main location profile report. 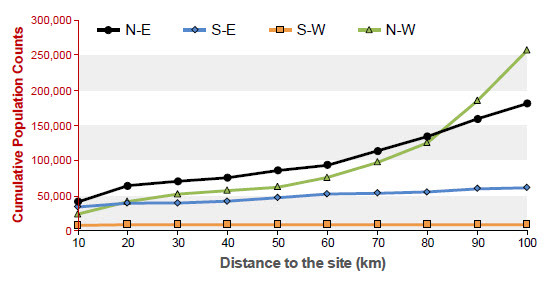 Please note that the way we present exposure estimates at four quadrants in Figure 6 is in line with the four directional (NE, NW, SW and SE) radii of maximum wind, which are typically reported in modern cyclone forecasting systems nowadays. Figure 6: An example of exposure estimation: population counts at four quadrants. 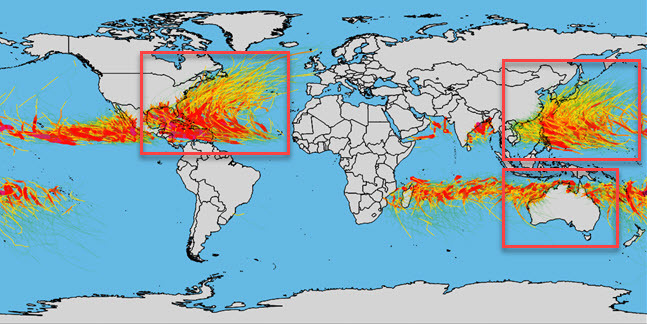 Widespread flooding and storm surges are often the direct consequence of landfalling tropical cyclones. For analysis of those associated hazards using similar API tools, please take a look at our flood-specific page here. Historical observational data is the foundation of any high-level hazard modelling, and an open, objective and consistent presentation of such data will greatly help investigate the input difference or uncertainty inherent in various vendor models. Through this major project, location profile reports on historical tropical cyclones in three regions (North Atlantic, Western North Pacific and Australia) can be automatically produced (e.g. Figure 7). Independent developers for property location and hazard risk information can integrate the accessible APIs in any third-party applications, so the information and insights revealed be readily shared with the general public and decision makers. The Developer Portal provides instructions on how to implement APIs at scale. We also provide dedicated web pages to allow users to request such reports easily. A full demonstration is available.